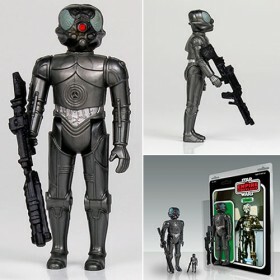 It's The Kenner 12'' Star Wars Figure - IG-88. In order to track down the fleeing Han Solo and Princess Leia, Darth Vader has assembled a rogues gallery of Bounty Hunters and assorted scum… including the deadly assassin droid, IG-88! Digitally scanned from mint 3 3/4” Kenner originals and reproduced to a substantial 1/6th scale, IG-88 towers above the competition. No detail has been overlooked. 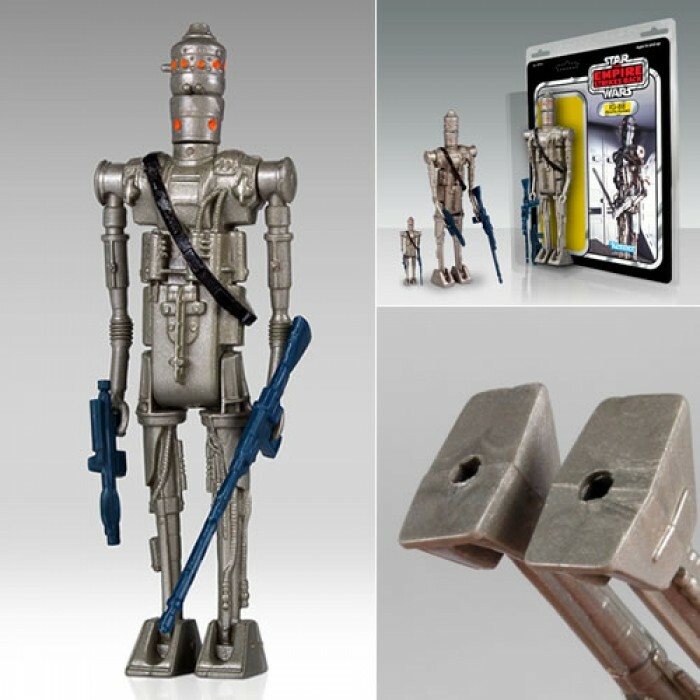 Roto and injection molded and made of durable plastics, this jumbo figure is fully articulated and includes a pair of faithfully reproduced blasters, just like the original. 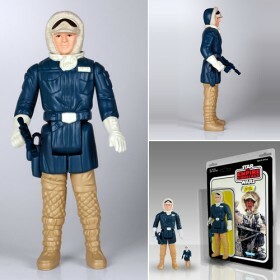 That’s not all, this classic Kenner creation comes packaged on a 1980 Empire Strikes Back-inspired blister card, featuring original front and “45 back” artwork, in a re-sealable plastic outer clam shell to help protect and display! most notorious bounty hunters to track down the Millennium Falcon. It’s time for Dengar to join the hunt! Digitally scanned from mint 3 3/4” Kenner originals and reproduced to a substantial Jumbo scale. Nothing has been overlooked. Roto and injection molded and made of durable plastics, this jumbo figure is fully articulated and includes a faithfully reproduced blaster, just like the original.